Measures core temperature instantly from the ear reliably and accurately. Patented technology scans 512 times per second. Probe-cover-free design is less costly and more convenient to use. Large 6mm display is easy to read. Ultra compact ergonomic design fits comfortably in operator's hand and patient's ear. Complete with lithium battery, zippered nylon storage/travel case and operatinrating instructions. 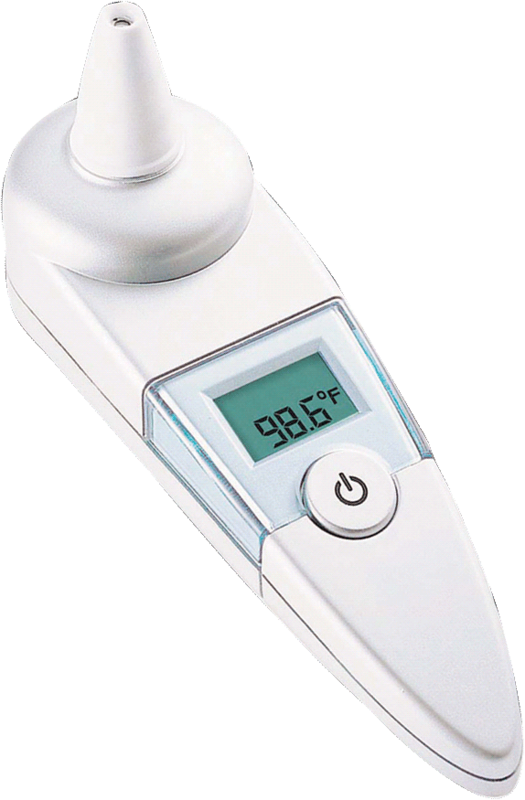 Probe cover free design makes the Adtemp™ 421 tympanic thermometer ideal for home care. Compact ergonomic design fits comfortably in operator’s hand and patient’s ear.